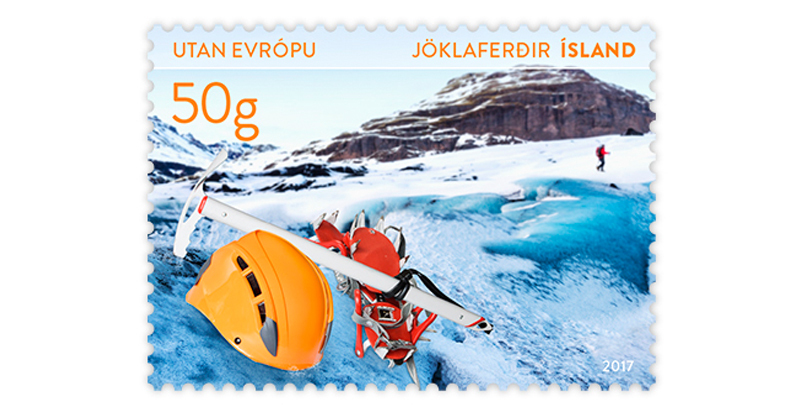 The theme of the tourist stamps this year is “Tourist activities in Iceland”. Horse-riding. Horse hire companies across the country organize riding tours for children and adults, lasting from a few hours up to several days. Longer tours are designed for more experienced riders. 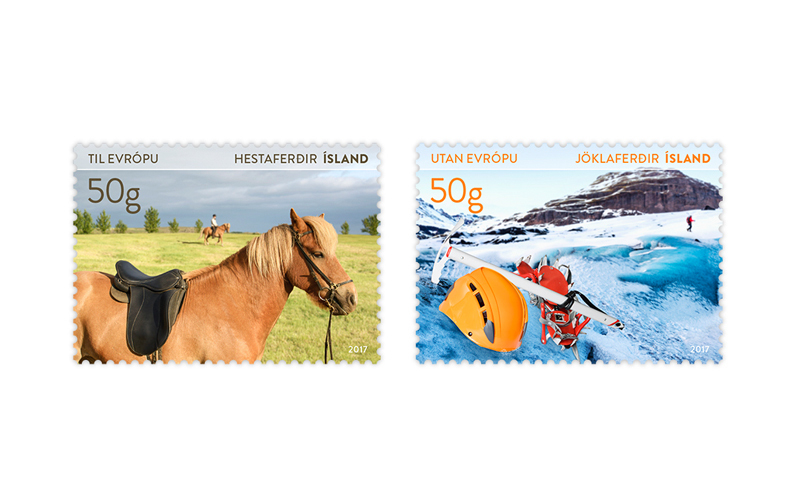 The aim of these tours is to offer travellers a chance of experiencing Icelandic landscapes from horseback. 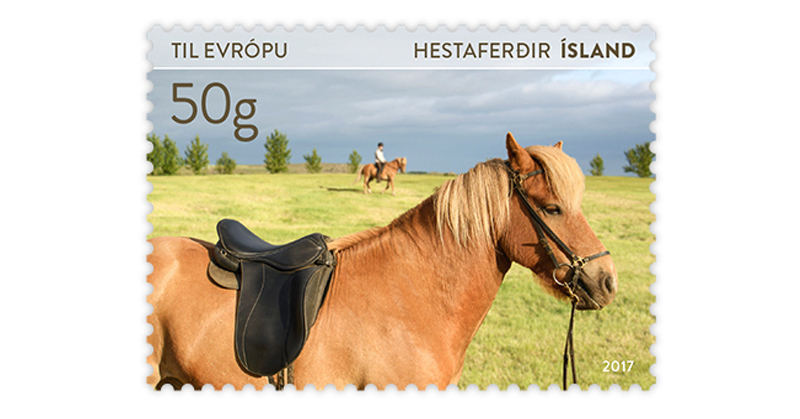 The Icelandic horse is known worldwide as an excellent mount. It is small but very strong and is a horse, not a pony like the Shetland ponies and the Fjord horse in Norway. Glacier tours. Recent years have seen an increased interest in glacier tours. These tours are conducted in snow cars, snowmobiles, jeeps or in organized walks. There are hiking routes of all levels of difficulty all around the country. In early June 2015 one of the largest manmade ice tunnels world was opened in Langjökull, totalling 550 m. Glacier tours always include some risk. The route must be decided in advance and when travelling in the vicinity of crevasses all must ravel on a rope team. Good preparation and careful routing significantly reduces the risk of accidents. Ice climbing is a part of glacial tours where ice axes, crampons and helmets is necessary equipment.